This is another Simplicity 1577, of course, and I hope you’re not tired of these yet as there’s a whole bunch more a’comin. 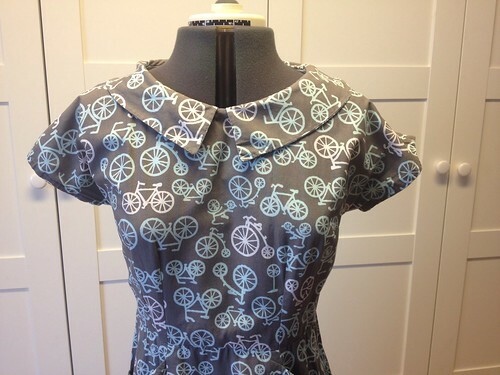 I didn’t remember until I started sorting out dresses for photographing 1) how many of these I’ve made and 2) how nicely it works in quilting cotton. There may be some stashbusting sewing coming up, now that this has been brought forcefully to mind. I have that exact same fabric! Does that make me cool be extension? No, probably not. Mine isn’t a dress either. 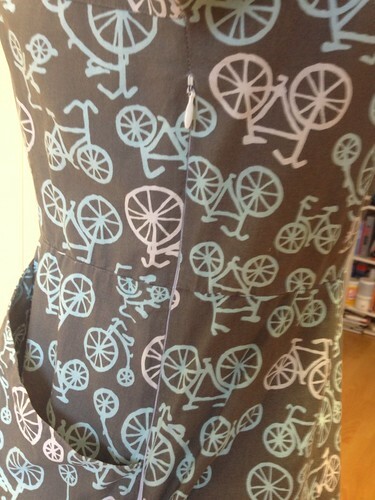 That is a great dress, the print and the execution and the bicycle riding, awesome. The only other reason for not waving would be that you can’t ride one handed at that point. 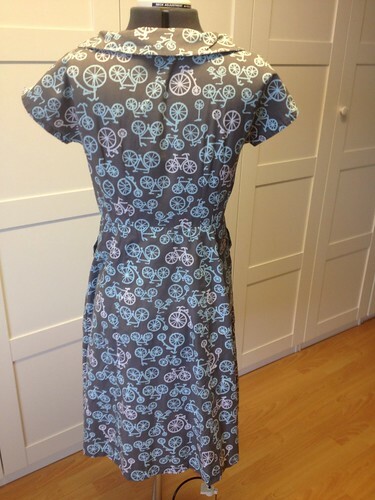 I love that you make dresses of quilting cotton. Some sites I go to make me feel like I should be embarrassed to be doing that. But I’m not. 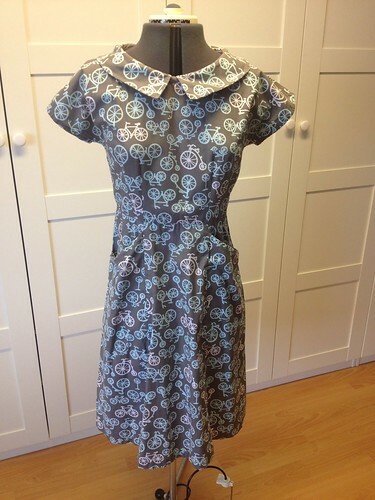 Quilting cotton dresses are awesome. I’d fall off the bike if I waved back!